I don’t know about you all but while I love the designer brand make up from Sephora I also love and appreciate the availability and price of beauty products from stores like Walgreens, Target, and Walmart. Also most mornings I don’t have a lot of time to get ready for work and need makeup that is easily applied and can have multiple uses. I figure many of you might have similar concerns and wanted to share with you what is in my makeup bag. These six items are all things that you can find at a local drug store or superstore here in the US. They are also all under $15 making them awfully affordable. I have used Polyvore to create a picture of my favorite products! The Yes to cucumbers wet face wipes have been my favorite face wipes since I found them once at Target. The cucumber really makes it very relaxing and rejuvenating for my face in the morning. I’m not a morning person and really appreciate how it helps wake me up. The Sally Hansen nail polish comes in a set with a Gel Nail top coat and has lots of color options. Personally I hate doing my nails and don’t think I’m very good at it so I really like this cheap gel nail option because they last a lot longer. I can usually get around a month of use when I paint my toes. The CoverGirl foundation and Maybelline face powder have worked very well for my combination skin and covering up blemishes. The powder can also be used two ways. I use it with a concealer brush after I put on my foundation to cover up spots and then use a regular powder brush to after I’m finished with all my makeup. The Maybelline Colossal Mascara has also become one of my favorites after having tried about every brand and type. It’s the only one that doesn’t clump up so easily and doesn’t give me spider looking lashes. I don’t believe that it is water proof but I haven’t had any problems with it smearing throughout the day. I can’t say enough about the CoverGirl colored lip balm as I’m not a big fan of lipstick so I love the subtle color. I do like to use a clear lip balm underneath of it and like that it can also be used as a cheek stain. It’s so helpful to have things that work as two different things so it is great that it can double as a blush. So there it is my basic morning makeup and beauty routine accept for the SPF lotion that I like to use. It’s pretty simple and takes me all of about 5 minutes in total to complete. Of course if I get a chance at a date night I mix it up a little and bring out some of my nicer brands eye shadow but for the average day at work it is perfect. What are your favorite beauty finds? Do you have a favorite brand? What is your routine like? Do you own any of these products? 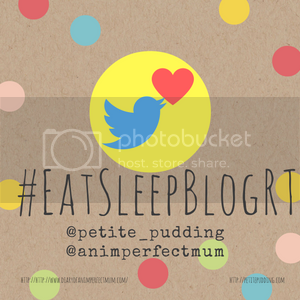 Thanks so much for linking up with us over at Friday Frivolity too! Nice,we have the same taste when it comes to this products.